Professor David Collins, Professor of International Economic Law in the City Law School outlines the UK's immediate trade priorities. The triggering of Article 50 on time as promised by UK Prime Minister May before the end of March is a positive development which reveals the UK government’s eagerness to get on with the process of negotiating an efficient withdrawal from the EU in a manner that serves the interests of UK citizens as well as those in the EU-27. While the UK will not be able to commence formally negotiations for Free Trade Agreements (FTAs) with other states until the separation from EU is finalized, these discussions will no doubt get underway informally with a number of its key economic partners in the months to come. In particular, the UK can expect to make progress on FTAs with the United States (in conjunction with President Trump’s planned state visit to the UK in October) as well as with Commonwealth allies, notably Australia and Canada. Of course the UK must turn its attention first to its continuing trade and investment relationship with the EU-27, likely in the form of a FTA, as it will no longer be members of the Customs Union nor, it would seem, the Single Market. With regards to the contents of the future FTAs, there are a number of priorities which have emerged. First, the UK government must work to establish clarity regarding the UK’s position in the World Trade Organization (WTO) as quickly as possible. Given the length of time associated with the conclusion of FTAs (normally several years), the UK must accept the possibility that it may trade for a time under WTO rules alone. This will involving setting tariff commitments on a range of goods (likely in step with existing ones as a member of the EU) as well as its specific services commitments under the General Agreement on Trade in Services (GATS), especially in financial services. Issues relating to the UK’s portion of the EU’s tariff free quotas and agricultural subsidies will need to be ironed out as well. Simply cutting and pasting EU commitments in these areas will not work, as many have suggested. In terms of bilateral deals as “Global Britain”, the UK must initiate negotiations for a UK-EU FTA as soon as is reasonably practical. Such an arrangement will involve customs procedures and will probably be structured as a phase-in process in parallel to the Article 50 negotiation procedure, which is expected to begin later in March. Again with respect to the crucially important financial services, it is vital that the government avoid the risk of the sudden termination of passporting, which allows banks and other finance firms to operate across the EU as long as they have a base in the UK. The British government should try to obtain the closest it can get to the current system of passporting for financial services. With services emerging as the central sphere of focus (as distinct from goods where tariffs are reasonably low under the WTO as it is), the UK-EU FTA should attempt to reproduce the right of establishment and mutual recognition of professional qualifications which the UK enjoyed as a member of the EU. The UK government must also keep in mind the need for a clear dispute resolution mechanism within the UK-EU FTA. More specifically, it must decide whether it wishes to accept the new Investment Court System for investor-state dispute settlement claims which has featured in the Comprehensive Economic and Trade Agreement (CETA) with Canada and other EU FTAs. On balance this system appears to be somewhat pointless and may lead to unnecessary expense and delay, in contrast to conventional investor-state dispute settlement, so it would be better to avoid it in the interests of commercial expediency and flexibility. Likewise, the UK should attempt to clarify how complex disputes in the financial services sector will be resolved in the absence of the jurisdiction of the European Court of Justice. It may be worthwhile for the UK to consider the re-joining of the European Free Trade Association (EFTA), an intergovernmental organization aimed at promoting free trade which consists of Norway, Liechenstein, Switzerland and Iceland. Such an arrangement may possibly facilitate the UK’s economic transition to a post-EU world. It may be further possible to amend the EFTA’s own twenty-seven FTAs to include the UK as this could be an easier way of substituting the EU’s FTAs (such as for example the new CETA with Canada) in the event that a grandfathering process is impossible or too complex. 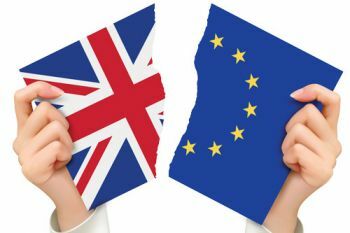 Lastly, while it is in the interests of virtually all parties that the residency rights of EU nationals living in the UK not be used as a bargaining chip to secure greater trade and investment rights, we must also acknowledge the reality that surrendering this feature too easily could jeopardize the rights of UK nationals living in the EU if it is extended without guarantees of reciprocity. All in all there are obviously many complex negotiations ahead, but the UK (and the EU-27) have been preparing for an amicable divorce for some time and there is no reason to expect that we will not have clear and mutually advantageous solutions to the above issues (and others) by mid-2019. The General Agreement on Trade in Services (GATS) is a treaty of the World Trade Organization (WTO) that entered into force in January 1995 as a result of the Uruguay Round negotiations. The treaty was created to extend the multilateral trading system to service sector, in the same way the General Agreement on Tariffs and Trade (GATT) provides such a system for merchandise trade. All members of the WTO are parties to the GATS.